Architects and twin sisters Luisa + Lilian Parrado are on a mission to make it easy to add a stylish splash of green to your walls. 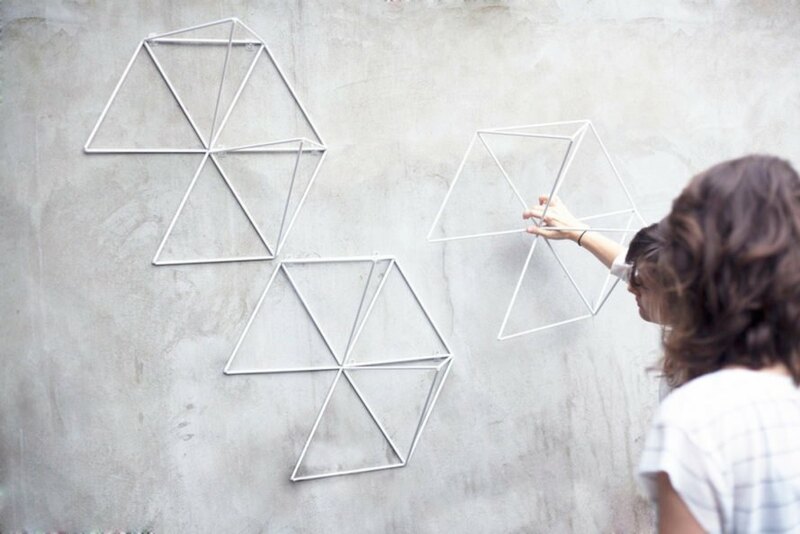 The designers created Garden Module, a customizable modular wall system with a minimalist appearance. 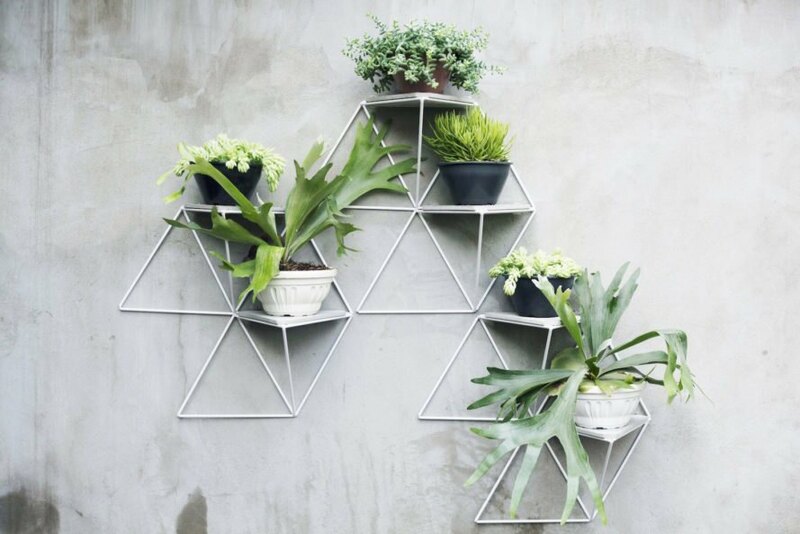 Made of steel tubes strung together with polypropylene string, these simple and three-dimensional wall modules can support up to two potted plants at a time and can be expanded to create a sprawling wall of green. The Garden Module was recently recognized at the 2017 European Product Design Award, where it received bronze. 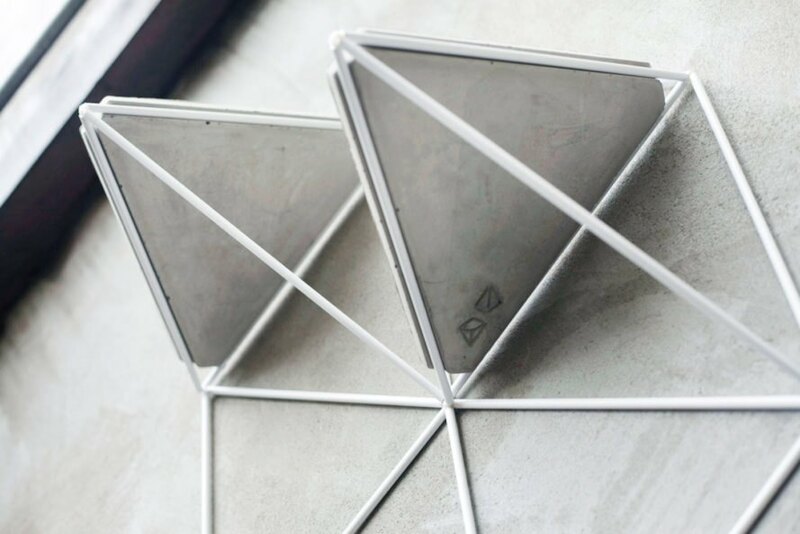 The modules are built of either white or black carbon steel tubes that are easily assembled into triangle formations. 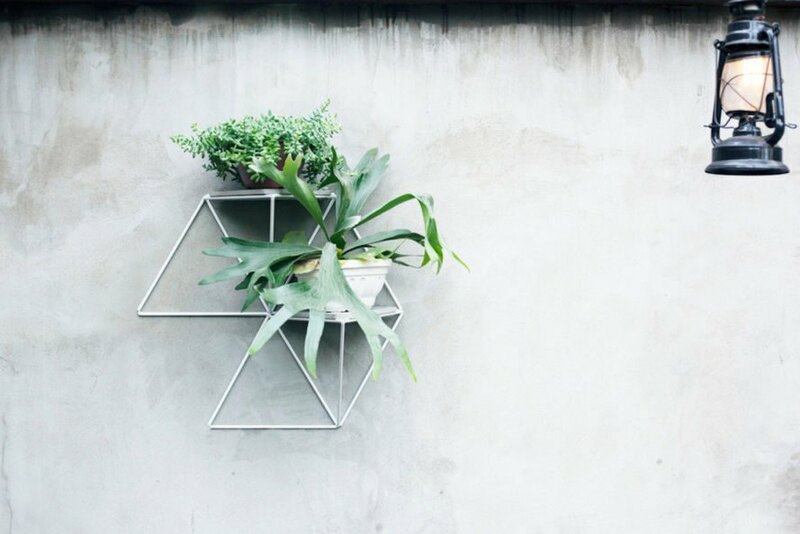 Each module comes with two triangular concrete bases that fit inside the steel tube frame and are strong enough to support potted plants without the need of screws. The Garden Module was recently recognized at the 2017 European Product Design Award, where it received bronze. The modules are built of either white or black carbon steel tubes that are easily assembled into triangle formations. 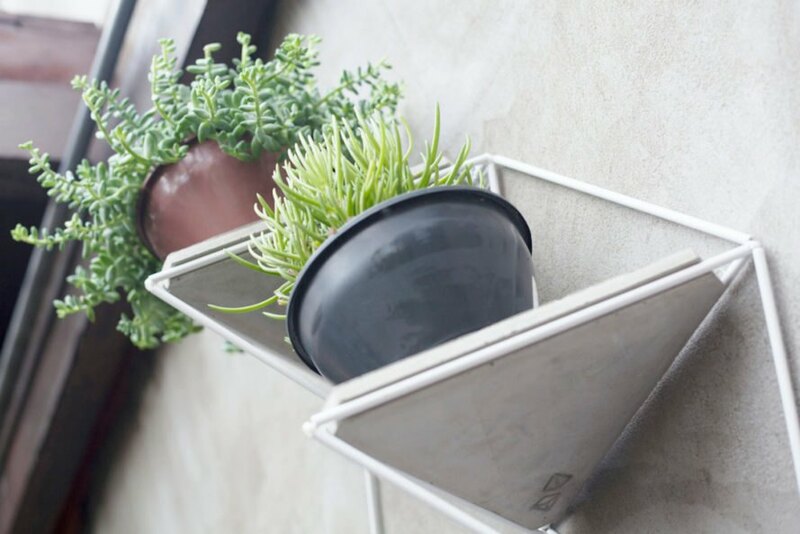 Each module comes with two triangular concrete bases that fit inside the steel tube frame and are strong enough to support potted plants without the need of screws.